Hiring a blog ghostwriter is an excellent way to add useful content to your page in the form of a blog. After all, a blog can help you connect to your visitors, share important information with others in your industry and build credibility as an expert in your field. Additionally, a blog is a valuable form of content marketing—a well-written, keyword-optimized blog will boost your search engine rankings. However, if you look beyond the blog, you will find that there are other parts of you webpage that could use a professional touch too. If you work with a blog ghostwriter that already understands your business and the overall tone of your website, why not hire him or her to write some other content too? Consider one of these five easy pieces of web content that your writer can help you create that will improve your website from the SEO angle and in other ways too. About Us – No matter what type of webpage you operate, there is a good chance you have an about us page. Naturally, you want to share a little bit about what drives your company, or for a more personal project, information about yourself. It can be hard to talk about yourself without feeling like you’re overdoing it—your blogger can give you another perspective. 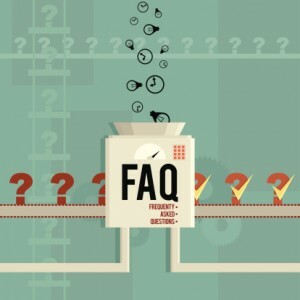 FAQ – A good FAQ can save you time and effort from answering the same questions repeatedly; plus, these pages take advantage of the semantic SEO techniques that really pay off in search engine rankings. Services – Explaining the services you offer seems simple, but it can quickly become overwhelming. Work with a writer to put together a services page that will wow your visitors and turn them into customers. Locations – If you have more than one location, or rely on local business, a locations page is a very good idea. This is the perfect page to optimize with locally based keywords that are often searched by mobile web users. Contact Us – There may not be much content on a contact me page, but this page does get a lot of hits—often as a landing page by customers searching for your contact information. Make it count by having your blogger write it well! The content you put on your webpage extends beyond the blog. Spend some time putting together a content plan for the other parts of your website too. Well-crafted webpage content goes a long way towards building your reputation within your industry—and there are certainly plenty of opportunities to show the search engines what you are about too. Tracy S is a freelance writer and blogger who is writing her first book. When she’s not glued to the keyboard she has her eyes glued to a sci-fi book, her mind glued on her pool game or has glue on her hands while working on a home improvement project.